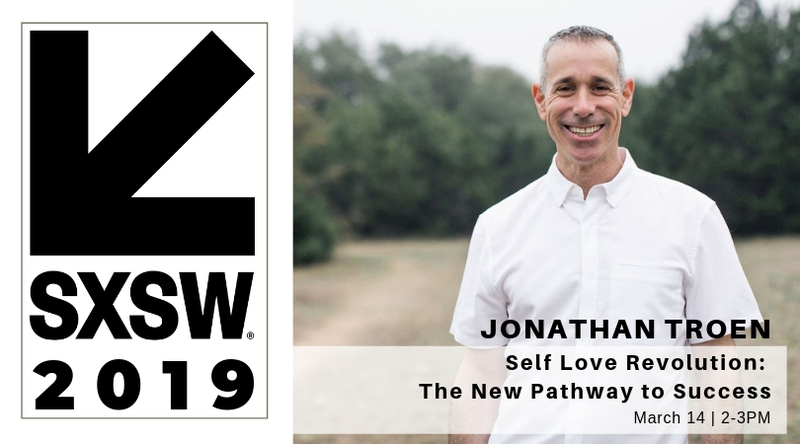 Jonathan Troen shares his “Self Love Revolution: The New Pathway to Success” at SXSW 2019. Austin, TX, March 05, 2019 --(PR.com)-- Jonathan Troen has been invited share his message of Self Love at the SXSW Conference and Festival 2019. His featured talk “Self Love Revolution: The New Pathway to Success” is a part of the SXSW’s Austin focused series, highlighting thought leaders emerging from SXSW’s backyard. SXSW is one the quintessential festivals in the country, bringing together artists, political and business leaders, change makers, and an audience eager to make a difference in the world. 2019 speakers include Brene Brown, Tim Ferriss, Trevor Noah, Gwyneth Paltrow, Elizabeth Warren, Stacy Abrams, Lance Bass, and Alexandria Ocasio-Cortez. Jonathan’s talk, “Self Love Revolution: The New Pathway to Success,” will take place March 14 at 2:00, at the Downtown Hilton Hotel. For information about Self Love or to join the Revolution, visit www.SelfLoveRevolution.com. 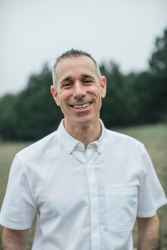 Jonathan Troen is a Life Mastery Coach, and co-founder of Austin Yoga Tree and the Life Mastery Collective. His latest creation is the Self Love Revolution. Jonathan spent 20+ years in the entertainment industry. He was living the life of his dreams, meeting the biggest stars in the world, except he wasn't happy. He couldn't figure why. He began studying people: how they lived, what motivated them and how they defined success. His studies brought him to one conclusion: Most of us are mean to ourselves, and all we really want is to be loved. He also discovered that when we seek love from outside, it is fleeting. Lasting love comes from inside of us. And since we’re not taught to love ourselves, this creates a problem. Jonathan created the Self Love Revolution specifically to share the methodology he created after 15 years of research and practice. Jonathan's belief: We all deserve success. We all deserve to be loved. And we all deserve to be treated kindly, especially by ourselves. Jonathan Troen is a Life Mastery Coach, and co-founder of Austin Yoga Tree and the Life Mastery Collective. His latest creation is the Self Love Revolution. He's scheduled to share his story and the power of Self Love at SXSW 2019.